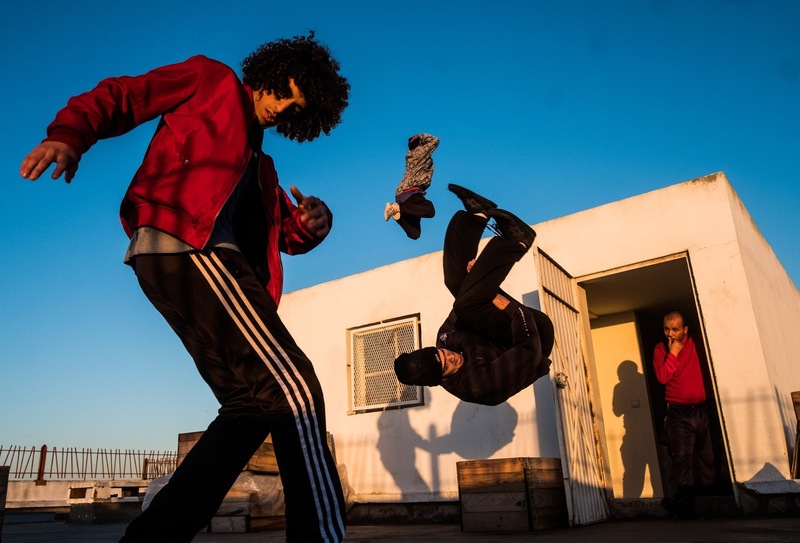 In Morocco, where state funding and institutions for the arts is scarce, break dancing has empowered young people to make their own entertainment since its arrival in the 1980s. The dance form, born a decade earlier in the Bronx, was ostensibly free; all it required were able bodies and open space. For years, these B-boys practiced in public outdoor spaces. They fashioned makeshift dance floors out of cardboard to practice head spins when they couldn’t find grass fields.